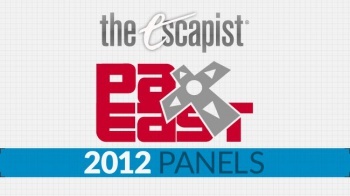 Game journalists discuss the ins and outs of game reviews in this PAX East Panel. PAX East 2012 this year had tons of insightful panels covering all aspects of the game industry, ranging from starting your career in game development to the latest Magic: The Gathering expansion. One interesting panel, titled "Stuff Your Criticism, I Want a Review! ", covered the differences between game reviews and game criticism, and how the purpose of game reviews has changed over the years as gaming media has matured. YouTube user smitty5332 posted up the entirety of the "Stuff Your Criticism" panel to their YouTube account, giving everyone who missed out on PAX East the chance to enjoy this intriguing presentation on game reviews and journalism. Below you'll see the video of the hour long panel, which features The Escapist's Susan Arendt, Boston Phoenix's Mitch Krpata, Ars Technica's Kyle Orland, and freelancers Dennis Scimeca and Chris Dahlen.